Austin now has it's very own speakeasy in one of the most unlikely places. If you have ever been to Austin, then you know 6th street is bustling with bars and dance clubs. You have West 6th Street which is a little more classier than East 6th Street, aka "Dirty 6th." 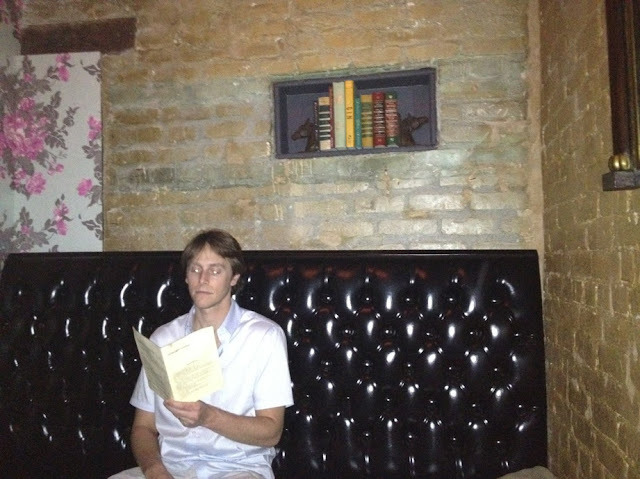 And yes, "Dirty 6th" is where this reservations-only speakeasy lies. 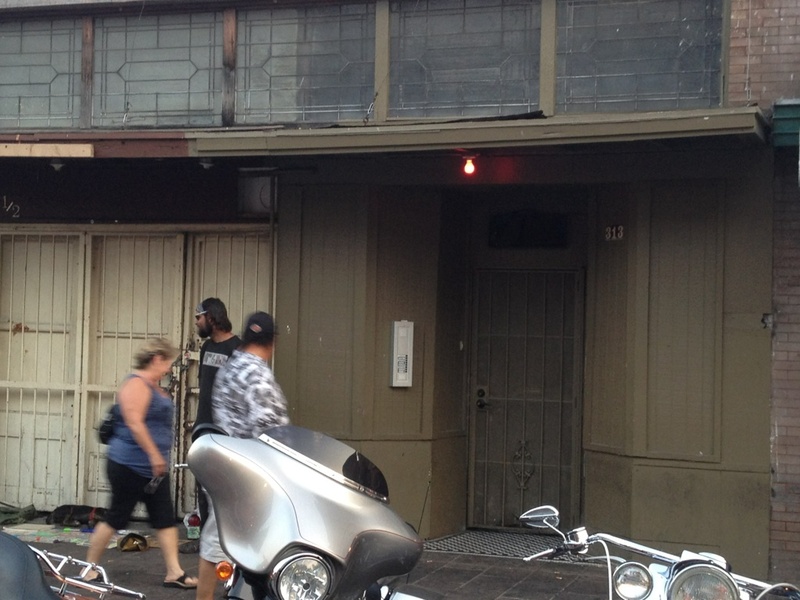 Midnight Cowboy is the latest venture from the guys behind Alamo Drafthouse. You would never know that this place used to be a shady massage parlor. In order to enter Midnight Cowboy, look for the red light at 313 East 6th Street, next to 311! Then, there is a panel of names to the left of the door where you push the buzzer marked "Harry Craddock." You will then be greeted by the hostess who will seat your party. Space is limited here but they have a few party rooms that can accommodate up to 8 guests. Honestly, we felt this room could fit six comfortably and 8 would have been cramped. Anyways, I loved the exposed brick wall in this room! The menu is filled with a wide range of specialty cocktails where you will have a new appreciation for mixology. Make sure someone in your group orders a cocktail with the infinity sign next to it. 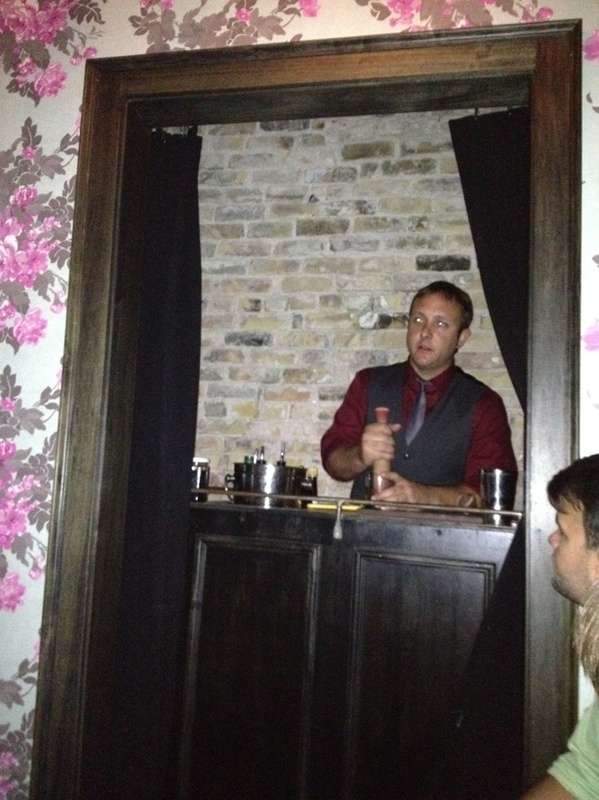 This means that the drink is prepared table-side on a fancy bar cart! The only con about this place is that there is a 2 drink minimum as well as 2 hour limit per reservation. If your table or room is available past the 2 hour window, then they will let you stay but the chances of this are slim to none!!! I think this is a great place to go if you are not from Austin or if you live in Austin and want to try some place different! I'm a huge fan and am always happy to see unique places like this pop up in Austin!